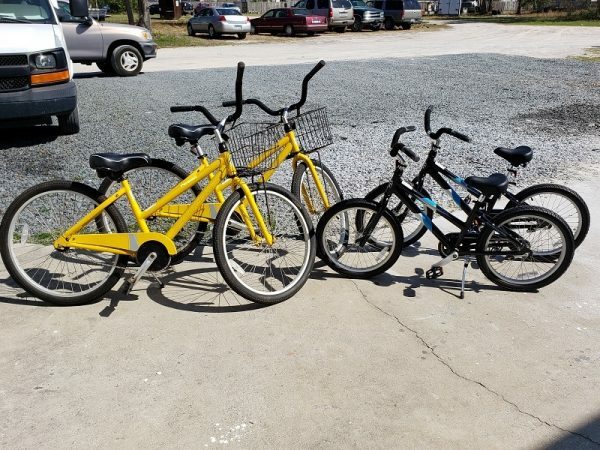 Includes 2 Adult bikes and 2 20 inch Kids Bikes. Sorry, no substitutions on Bikes. If you arrive and determine you need another sized bike, we will gladly do so, however there will be no refunds.